A request from a reader/listener to post or re-post some live stuff from Dr. John and/or the Meters reminded me that it has been way too long since I have put up any performance recordings at all. So, I decided to do a little series off and on this summer featuring some more live material. The more serious traders and collectors out there probably already have these - one has been on YouTube for a while now. But, I hope you will agree it's good to get to hear these players in their prime from back in the day. Maybe we can put up some more recent funky stuff, too, as we go along. Today's kick off contains two vintage broadcast performances from the same year. Hope you enjoy 'em. 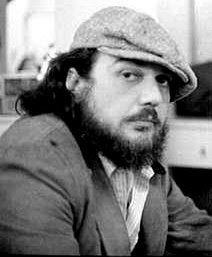 Back in 1973, Dr. John (Mac Rebennack) was on tour in support of his new album, In The Right Place, which was doing very well for him on the basis of the radio hit singles taken from it, "Right Place, Wrong Time" and "Such A Night". 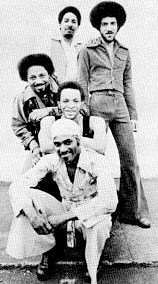 Allen Toussaint produced the LP, geared it a bit more for the pop market, but recruited the Meters as the core rhythm section. 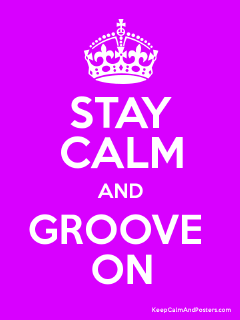 The results were an exceptional mix of funk and quirky pop. As a result, Mac did some touring that year with the Meters, using them as a backing band a few times, and on other dates rolling as a New Orleans revue with his own band, plus the Meters and Professor Longhair on the bill, as well. In the case of this show, a live radio broadcast from a recording studio, with a small audience, it was Mac and his band alone, billed as Dr. John and the Rampart Street Sympathy Orchestra. For more details about the show, including a full set list and band line-up, check my earlier posts on two other songs from the night, "Let The Good Times Roll" and "Qualified". As might be expected, the sound quality and mix are excellent. "Life" was a track from In The Right Place that Toussaint may have written just for that project, as I don't know of any earlier recordings of the song. One of his unique clockwork type of compositions built of simple parts, it transcends categorization as funk, pop or even New Orleans music. Its central circular groove used an ascending eight note riff that achieved its unique push-pull feel by being offset Instead of moving straight bottom to top in the course of its two bar run, it starts in the middle, climbs for four beats, then drops down to the bottom note to begin the second bar of four notes rising, continuing that back and forth sequence throughout. The rise and fall back had an implied syncopation that, coupled with the hip, broken shuffle of John Boudreaux's drums and the various other patterns layered in by piano, bass, horns and vocals, created an intricate whole that had to be played precisely to have the desired result. Hats off to Mac and his great road band for making it work perfectly live and seem so effortless. Another aspect of "Life" I've long noticed is that it one of a number of Toussaint songs with lyrics that don't make much sense. The words sound good sung together; but I have listened to it literally hundreds of times over the years and could still not really tell you what it's about. Like some of the Steely Dan repertoire, having to be played as exactly written to work, plus the cryptic lyrics probably kept the song from being performed more often by others. The New Orleans eccentric genius, pianist James Booker, was one of the few to do it - and, of course, Toussaint himself, though he has never released a studio version of the song, and only infrequently does it live. Guess that qualifies it as somewhat of a rarity on several fronts. Making another kind of sense altogether, the Meters' "Look-Ka-Py-Py" dispenses with any semblance of meaning and just uses vocal nonsense syllables to further syncopate it's deep funk groove. Originally recorded by the band in 1969 and released on Josie Records, the song got up almost into the Top Ten nationally and was one of a string of their singles that sold well during the period. The story goes that the band developed the it while driving to a gig, trying to mimic the sounds of their misfiring van engine. This live version coupled with "Jungle Man" comes from a 1973 television broadcast they did while touring with Dr John and his band in the New Orleans revue format, which also included Professor Longhair (and on this show, Earl King). It was Mac's generous idea to highlight the under-recognized music from his hometown as he toured extensively on the basis of his hit singles from the In the Right Place album. Well, that and Phil Walden was trying to manage both Dr. John and the Meters at the time and co-booking their dates. Unfortunately, the concept was a hard sell for concert promoters unfamiliar with New Orleans musical history and did not last too long. Zigaboo Modeliste's drumming on this take of "Look-Ka-Py-Py" was seriously wide open, loose-limbed and improvisatory, guaranteed to set backfields in motion. Unofficial (at that point) bandmate Cyril Neville's non-stop flurry of conga beats seemed to be an attempt to fill all the creative space the foursome left on purpose in the tune, which kind of worked against the concept; but things settled down as they segued into "Jungle Man" (from their second Reprise album, Rejuvenation), and dug down in the groove. It was a brief but musically subversive strut in the TV spotlight. The song DOES make sense! It's about sin and temptation (specifically the chemical variety). Good trips (dolphins) alternate with the bad trips (all those teeth)but his soul is slowly dying, and he's ashamed his mama has to witness it. Like many addicts, he partially/ambivalently attributes his downfall to The Cruel World---Mama, they told me I could try it but I wouldn't be hooked---but he knows it comes down to him, and the song seems to end in the confession booth. Wow, Paul. I like your interpretation. And Toussaint leaves plenty of room for that. The lyrics definitely have the temptation, feel like I'm fixin' to die, good vs evil thang going on. Maybe the guy is going cold turkey at his momma's house. Sometime, I ought to address Toussaint's references to the Devil. Consider "Shoorah, Shoorah", another great song that doesn't make straight sense. Gotta figure out what I'm missing. I've always been entranced by this song and usually listen to it a couple of times in a row when listening to this record. For some reason I always thought it was about a near death experience....It's always the first question I envision asking Mr.Toussaint when and if I ever meet him. Paul's ideas and yours sort of have me coming around to the concept of this song being about kicking a heroin habit, which is (I hear told - it's someplace I have not been in all these years) a real near death experience...and you wish you were all the way there. The fact that both artists who did this song, Mac and Booker, were junkies (or junkers, in older terminology) makes me think that it was a song they could relate to. I also like the notion that "Life" is about death. About asking Mr Toussaint about it. I had a chance and blew it, I guess. I met him briefly at a NARAS seminar in Memphis - he gave a talk. A guy I know who used to engineer at Sea-Saint, Danny Jones, introduced me to Allen...and I just kind of babbled about what a huge fan I was and that I had a radio show and played a lot of his music. And he said, "WEVL?" He knew about it (! ), which left me further speechless and then he was off chit-chatting with others. So many questions left unanswered. I've met a few semi-famous people along the way, but that guy is both down to earth and larger than life....there's that song title again. So, don't blow it when you get your chance, Colby.